I love sharing my passion for canvaswork embroidery and sewing. I have been teaching both children and adults in various locations in Western Australia, interstate and overseas for the past six years. 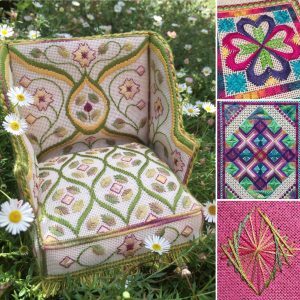 It continues to be an absolute joy and privilege for me to share my knowledge and enthusiasm for this wonderful area of hand embroidery. It is also lovely to meet so many new sewing friends along the way. I’m not sure there is a better job in the world than this one 🙂 To find out more about my philosophy around teaching, read this post on my blog. I am currently teaching two regular classes for adults at Tresillian Arts Centre in Nedlands, Western Australia. Creative Embroidery in Colour, runs over seven weeks during term time for three hours every Friday morning. Begin with a simple introductory project and then explore wonderful combinations of colour, pattern, thread and embellishments on projects of your own choice. Introduction to Embroidery, runs over four weeks on a Wednesday morning. 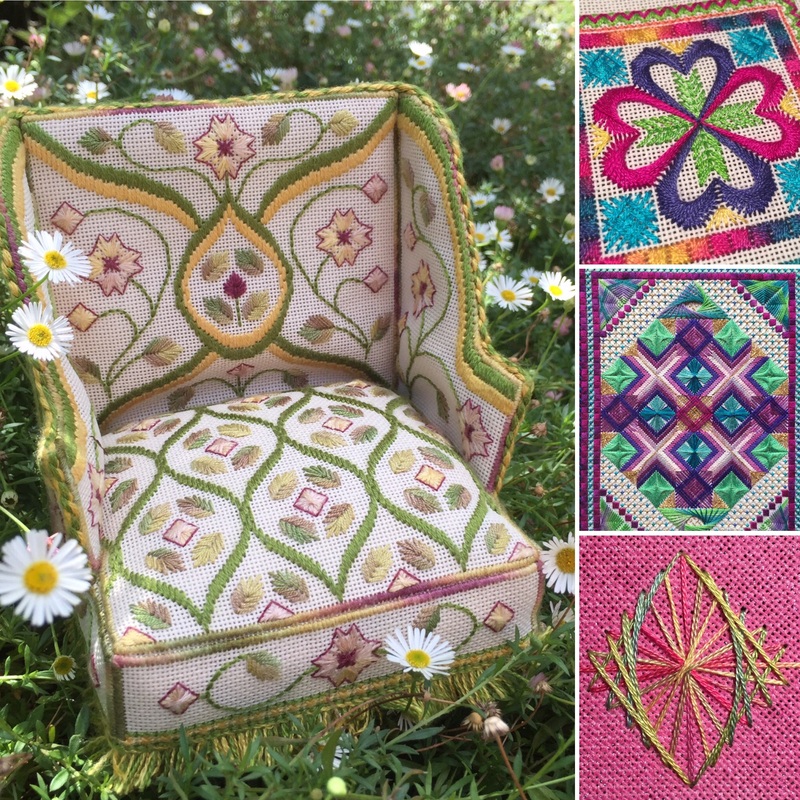 In this class, you can refresh or learn or range of basic embroidery stitches to get your embroidery journey well and truly underway. You can find out more information about Tresillian classes by clicking here. 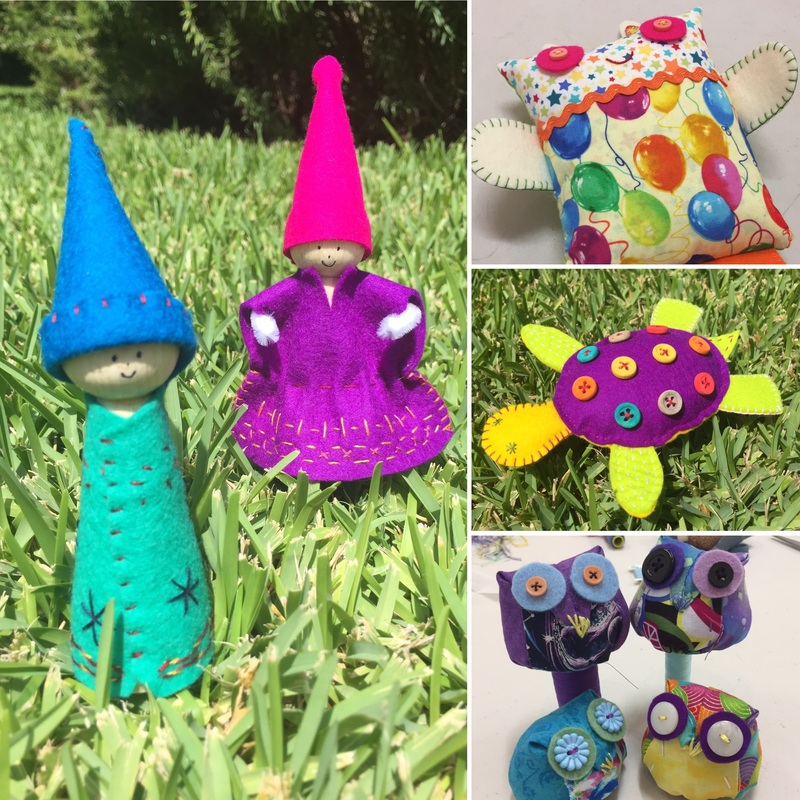 I also teach regularly for the Embroiderer’s Guild of Western Australia, the Embroiderers Guild Victoria, and private craft groups in a variety of locations around Australia. I am currently finalising plans for my 2019 schedule. At this stage, classes are likely to be held in South Australia in March, country Western Australia in April, and Tasmania in July. I’ll update this page as soon as I have more details. If you have any queries, please don’t hesitate to contact me here. I am now offering children’s classes as after school art programmes in conjunction with schools. If you have any queries, please don’t hesitate to contact me here.